If you can think it, we can make it! Let us know what's on your mind and we may just start developing the Add-on you need! If we choose to make your add-on, you will get it for FREE! 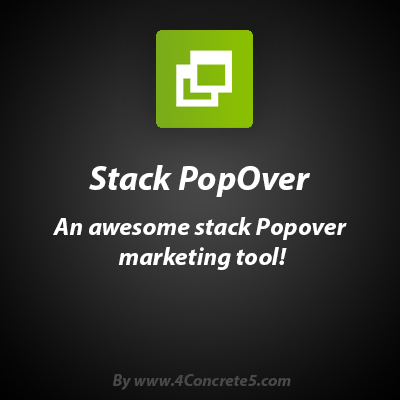 An awesome stack Popover marketing tool! Visit www.4Concrete5.com for more info on our add-ons.